From architectural plans or photos, Minifer design models using a computer. The models, typically French, are then laser cut, and come in the form of to paint and stick. For more information on kit composition, see the page Wood-Cardboard kits, and for assembly techniques see pages Painting the kits or Fixing the kits. Born in 2016, after more than a year of design, Minifer is a company run by Sylvain GRATON. 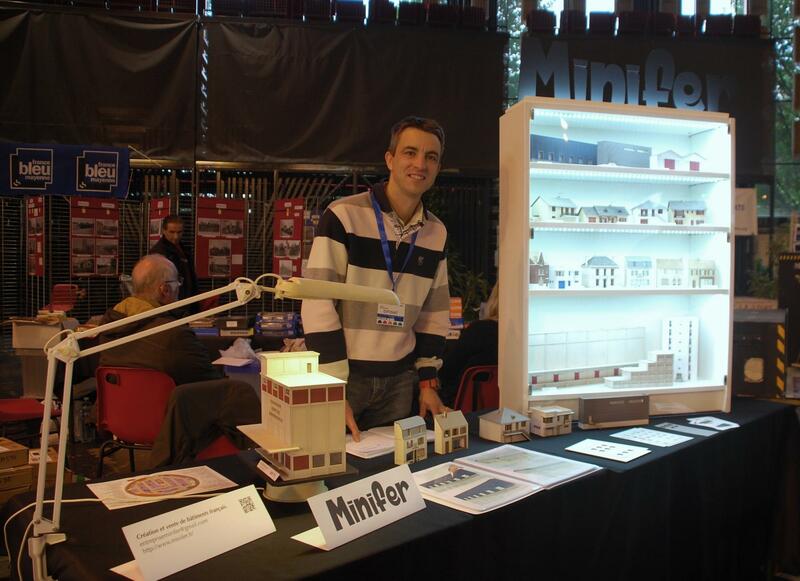 Model railroader for over 30 years, Sylvain is a member of the Association Rail et Modélisme des Cheminots de Tours (ARMCT). He also wrote some articles for Loco-Revue, which he suscribes for several decades. Among others, Sylvain is a fan of the era III, including steam. Suscriber Model Railroader, he is recently interested in the American model, all periods and all types of traction. Sylvain has done graduate studies at Tours in France, where he specialized in mapping and computer aided drafting.